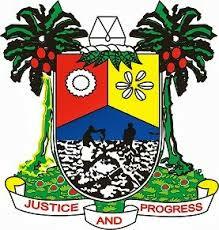 Lagos State Government on Tuesday denied involvement with an infrastructural firm, Master Realty International Concept Ltd, who had been allegedly reported to be parading itself as having the approval to construct an ICT specialised mall directly beside the newly built Ikeja Bus Terminal. The State’s Commissioner for Physical Planning and Urban Development, Wasiu Anifowoshe in a statement said the State Government has not given Planning Permit for such development. He revealed that the State Government’s commitment to actualize the relocation of Computer Village from Ikeja to Katangowa, just as he assured on the continuous implementation of the provisions in the Ikeja Model City Plan, which designated Computer Village for residential use. According to him, the purpose was to achieve urban regeneration and increase housing stock, revealing that the take-off of the Katangowa project was at its final stage and Government was working tirelessly towards ensuring that the project is concluded as scheduled. “Therefore, Government will not take it lightly with anyone caught attempting to disrupt the relocation plans of moving Computer Village from Ikeja to Katangowa. The Lagos State Government met with the Executive Members of Computer and Allied Products Dealers Association of Nigeria (CAPDAN) of Computer Village and assured them that Government is committed to its relocation plans. “In order to demonstrate this, all the banners displayed which are in contravention were marked, since it does not have Planning Permit to confer on it as a construction site. We have removed the illegal fence constructed without fencing permit and sealed the site to prevent illegal development,” the Commissioner said. He added that the State Government has also deployed officers of the Ministry to monitor any illegal development in that area, however enjoining Lagosians to alert the government if they notice such development, so that they don’t fall prey to fraudsters. Anifowoshe also implored Lagosians, particularly those intending to rent, lease or buy property to always ask for necessary Planning Permits and Approvals before transacting business with any developer.